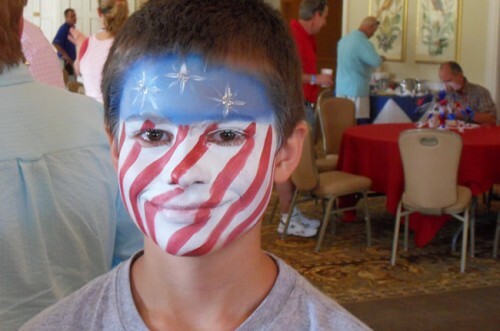 Children just LOVE the face painters. So do some adults. 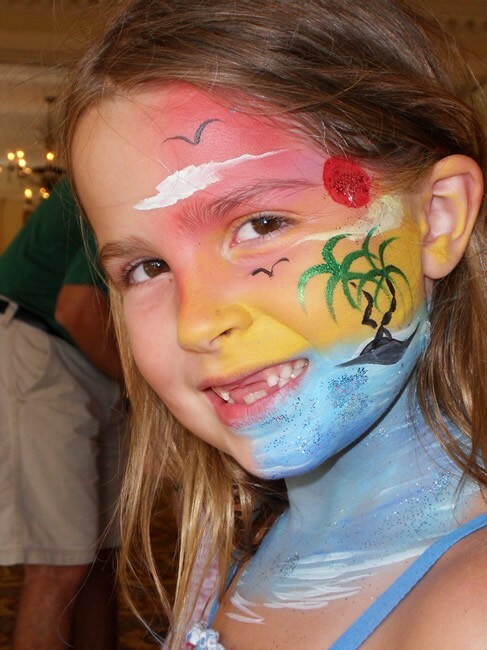 With so many choices and variety of colors and even glitter, the face painters at any event are the most popular. 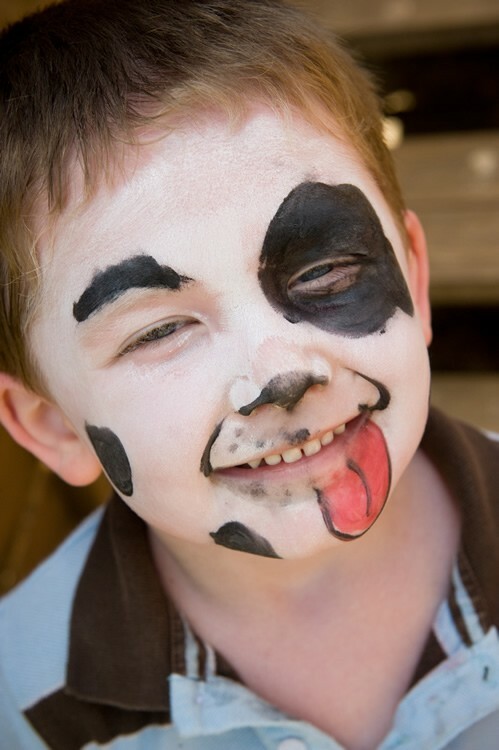 Our face painters are artists who can paint many different things. Some of the kid’s favorites are cat, lion, or tiger faces. 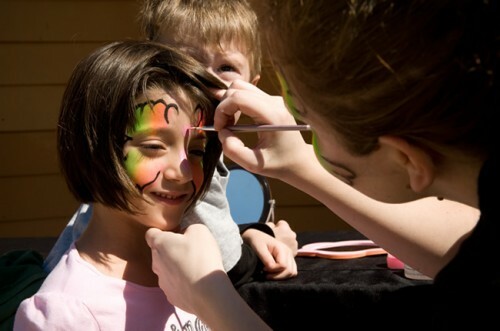 Or they can paint a simple flower or heart – whatever your kids or guests want. 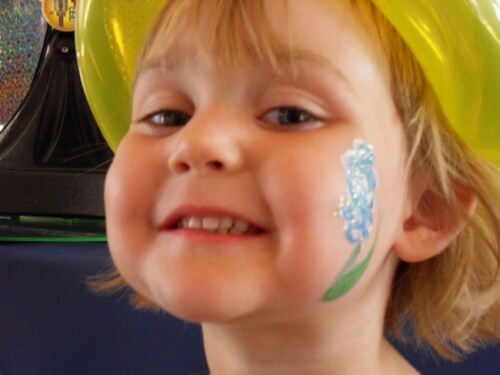 Their works of art offer wonderful picture opportunities to take of your kids that will be precious keepsakes. 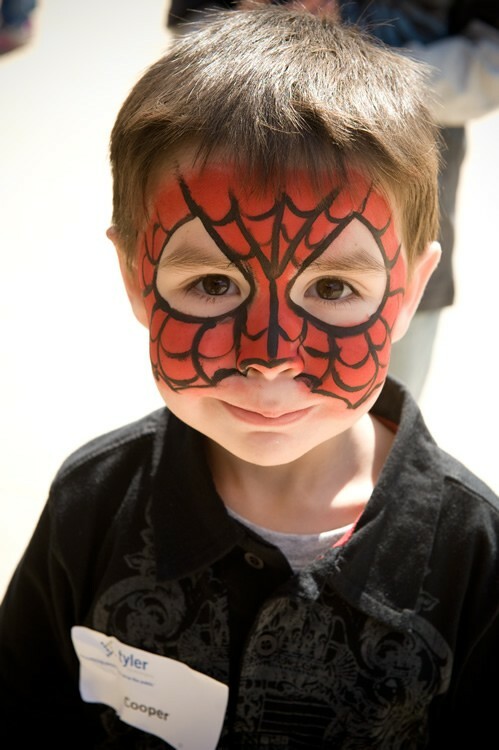 Contact us by filling out our Request a Quote form to add this exciting entertainment at your next party.